“What is a C-type print?” This is a question that we get asked regularly. 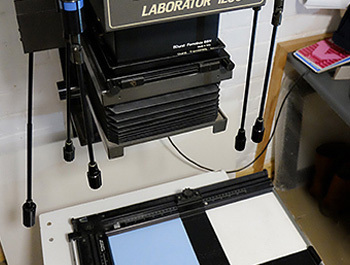 A traditional C-type print is a colour print made in a darkroom on light sensitive paper using a chromogenic process. 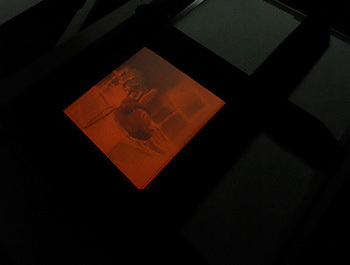 The light from an enlarger bulb passes through a colour negative and then through a lens. The lens being used to focus the image on the paper, which is normally held in place using a baseboard easel. Our Digital C-type prints use exactly the same process, the only difference being in the exposure method. Instead of using an enlarger bulb the digital information is exposed using a red, green and a blue light source. These are either lasers or LED light sources. At Digitalab we use a Lightjet printer (for large prints up to 2.4 x 1.2 metres in size) and High Definition Noritsu minilabs, both systems use RGB lasers. So with digital C types you get the best of both worlds… the extra control that the digital editing provides and the superior quality of traditional photographic prints. The light sensitive C type process is a continuous tone process, all the colours are contained within the emulsion layers as described above. This produces a print with better graduated tones (avoiding banding) and with greater depth of colour. A digital C-type also has shows more shadow and highlight detail to those of an inkjet/Giclee print which is made up of dots. For example an inkjet printer can only either lay down a drop of ink or not and as a result areas in the highlight tones use the white base of the paper, so it can’t produce the tonal range in the highlight area that a C-type print can. 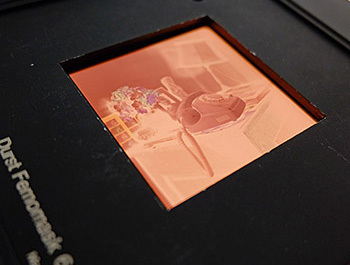 Also, because the colour dyes of a C-type print are contained within the emulsion, the viewer can’t see any ink sitting on the surface of the print. In addition this also means that the C-type prints are more durable, inkjet prints being susceptible to finger print marks on the print surface or the ink being scratched. In terms of longevity C-type prints have been around longer so have a proven archival quality which can be further prolonged by being laminated with a scratch roof and UV protective laminate. Although as yet unproven, inkjet prints are thought to have a similar lifespan if pigment inks are used but many cheaper inkjet printers use dye inks which can fade quite quickly. Inkjet prints also suffer more from metameric failure, which means that when viewed under different light sources the print changes colour. We can testify to this as on a frequent basis we get inkjet prints supplied as a colour guide for us to match a C-type print to. If we compare the 2 under prints under one light source and then move to another light source the inkjet changes colour noticeably whereas the C-type much less so. Another important factor is cost. Photographic C-type prints are much cheaper to produce than Giclee prints, especially so when using high quality inks and paper.